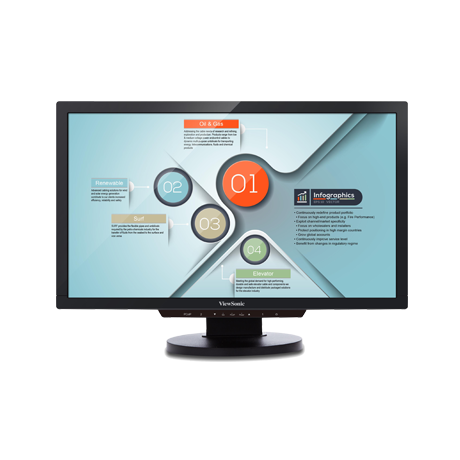 The SD-Z226 is a 21.5” integrated zero client monitor. It is based on the Teradici 2321 processor, with hardware accelerated PCoIP support. The SD-Z226 zero client is the perfect solution for companies seeking a seamless desktop experience, with ultra-high security and reliability in VMware-based networks. True zero client features, with no local memory or moving parts, delivers the ultimate in energy savings and reliability. The full ergonomic function, including tilt, swivel, pivot and 100mm height adjustment, combined with the VMware-certified design, guarantees high performance and compatibility in your network. With the additional DVI output, flexible support is provided for dual monitor productivity. The eco-friendly design with LED display uses up to 80% less energy consumption than standard PC’s.